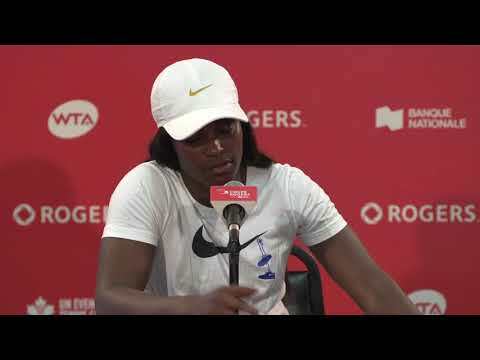 This summer, it will be easier than ever for fans to follow the action, take part in the fun and stay informed at Rogers Cup presented by National Bank. Starting today, the 2018 edition of the official tournament mobile app is available for download via the App Store and Google Play. The Rogers Cup app provides spectators with the latest news and tournament updates, exclusive games and chances to win prizes and easy navigation to the stadiums. The updated app will accompany fans from the minute they leave the house as they make their way to the tournament. Partnering once again with the popular community-based traffic and navigation app WAZE, the parking assistant feature will direct ticketholders to the various parking lots. In Toronto, the app will also then let fans know when to expect the next shuttle bus to take them right to Aviva Centre. Streak Challenge presented by Fila: Individuals can answer a series of prediction questions about each day’s matches with the goal of accumulating as many correct answers in a row as possible. The longest streak at the end of the tournament will see the winner travel to the BNP Paribas Open in Indian Wells, California next year. Trivia: This game will issue a series of trivia questions. 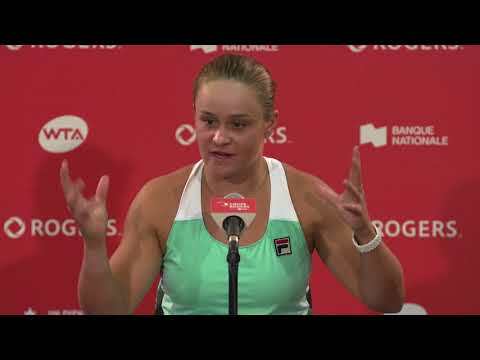 Fans collect points by successfully answering the questions which they can then use towards a variety of prizes in the Tennis Canada Rewards Store. Challenges: By completing a variety of challenges, individuals can accumulate points to be exchanged for prizes at the Tennis Canada Rewards Store. Rewards Store: New this year, the Tennis Canada Rewards Store will be present on the tournament site. Fans will be able to pick up their prizes by visiting the official booth. The fan experience is central to the Rogers Cup app and this is highlighted by the enhanced Fan Stream feature. People will be able to ask questions to the tournament staff as well as to other fans using the app. This is a great way for users to not only communicate with the tournament, but also with each other, creating a fan community. In order not to miss a single minute of action, the in-seat service feature offers spectators sitting in the lower bowls of the main stadium in Montreal and the entire main stadium in Toronto the opportunity to order food directly to their seats from the app. Orders will be delivered during changeovers. Unique in the world of tennis, this feature upgrades the way fans consume the sport. Free Wi-Fi will continue to be available to all spectators on-site at Rogers Cup, so everyone can make use of all the upgraded app features. The mobile app has been updated to not only enhance the fan experience, but also the player experience. There will be three services offered to players: a general concierge to answer all of their needs; transportation, so they can schedule their transport services in advance; and practice scheduling, digitalizing the way practice courts are reserved. In fact, instead of having to call the player services desk like at most tournaments, players can now book courts directly from their phones. This secured and exclusive feature will be available for the WTA players in Montreal.